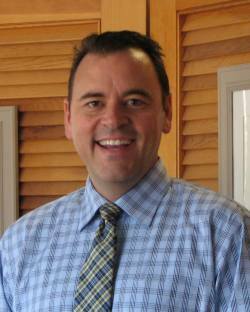 John Sobota has been a full time Realtor since 1993 and truly enjoys the family business. He lives in Menomonie with his wife, Jill and their 5 beautiful children. When he is not listing or selling real estate, John enjoys golfing, jet skiing, camp fires on the Red Cedar and attending the many activities of his children. He understands the importance of giving back to the community and has served on many local boards including the United Way of Dunn Co, Volunteering with Junior Achievement, Menomonie Athletic Booster Club & St. Joseph's School. 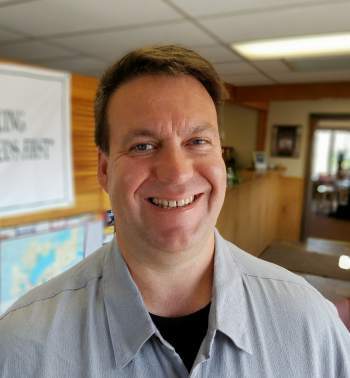 He serves on the City of Menomonie Board of Review and the Community Development Committee. Multi-million dollar producer 1995 to Present. "I sincerely appreciate the opportunity to work with your real estate needs. Please contact me at 715.505.8888 if I can help!" I grew up here in Menomonie, graduated from Menomonie High School, and have lived in the area for most of my life.. Though I have lived elsewhere, I have always been drawn back here, to my home. My wife Cindy and I made our home north of Menomonie where we watched our children grow. Home, and all that it means, is the reason why I chose real estate. My first priority is your real estate needs, I will endeavor to help you through the buying or selling journey, every step of the way. My goal is to prove myself worthy of your trust, exceed expectations, and make a friend. I look forward to assisting you with all your Real Estate needs. 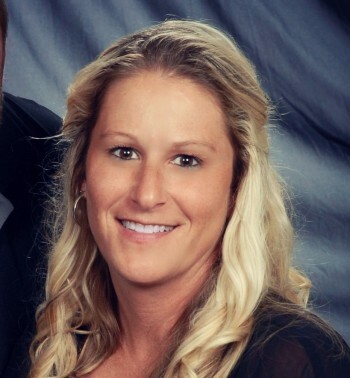 Shelbie became a realtor back in 2004 and immediate came to work for us @ Andale Real Estate Shelbie is a Glenwood City WI native and very familiar with St Croix and Dunn County areas but doesn't limit her work connections to just there. She has worked a 7 county wide area these past 14 years which include, Polk, St Croix, Pierce, Pepin, Barron, Chippewa and Dunn Counties. She has been an active member of the community and counties all her life and is very knowledgeable with the farming/residential/equestrian community. She was active and involved in many committees and organizations while her daughter was in HS and in local FFA chapters along with the county fair projects of swine, equine and poultry. When Shelbie isn't working you will find her on her hobby farm with her family, either riding horse or riding motorcycle with her husband and friends. She has a great roll up your sleeves worth ethic and is 100% dedicated to providing excellent customer service to all her clients. If you are in the market to sell or buy a home, she will put her past 14 years of Realtor experience to work for you. 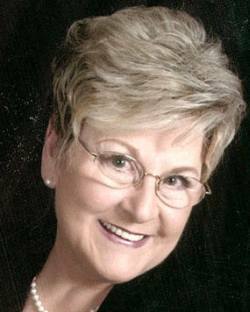 Patricia A. Sobota, 69, of Wilson, died Sunday, Jan. 4, 2015, at the Baldwin Area Medical Center in Baldwin. Pat was born March 21, 1945, in Michigan. She was the daughter of Lawrence and Carol (Diebold) Fleming. Pat was the oldest of nine children and was raised by her mother and stepfather, William Baumler, in Louisville, Ky. She attended Holy Family Grade School and graduated from Loretto High School, both in Louisville. Pat has been a broker/owner of Andale Real Estate in Menomonie since 1987. She was a Certified Residential Specialist, and a member of the Graduate Realtors Institute. Pat has served as president of her local board of Realtors, and two terms as vice president of the Wisconsin Realtors Association. She has taught real estate classes at UW-Stout and the Chippewa Valley Technical College in Menomonie and Eau Claire. Pat has served on the board of directors of the Menomonie Rotary Club, Menomonie Chamber of Commerce, Hospice Board, Community Foundation of Dunn County, First Bank & Trust, Mabel Tainter Theater, and numerous other committees committed to making our community the best! She has been recognized by her peers as "Realtor of the Year" and received numerous awards for her volunteer efforts in the community. "I've done many interesting, some might say "fascinating and daring" things in my life, but nothing can compare to my life as a grandmother. What a treasure to have seen each one of them come into the world, and each one has loved me in their own special way, unconditionally. My children and their spouses have blessed me with all of these children, who became my best friends."